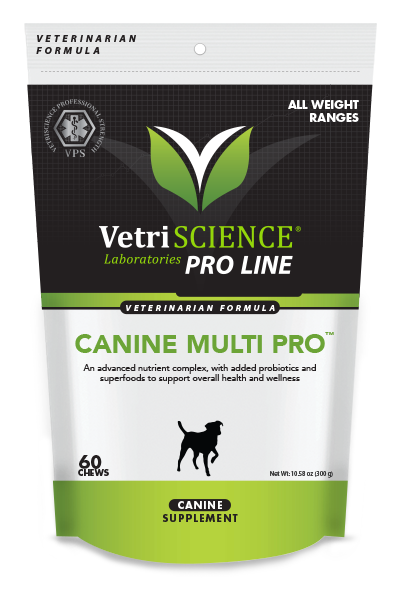 Canine Multi Pro™ for dogs provides a comprehensive balance of vitamins, minerals, essential fatty acids and probiotics which can help maintain peak condition in dogs. Formulated with the superfood nutrition of carrots, alfalfa and kelp, these chews are designed to help maintain the overall physical well-being of your dog, no matter his size, age or breed. Our Canine Multi Pro is also an excellent addition to homemade and raw diets offering complete daily nutritional support for your dog. 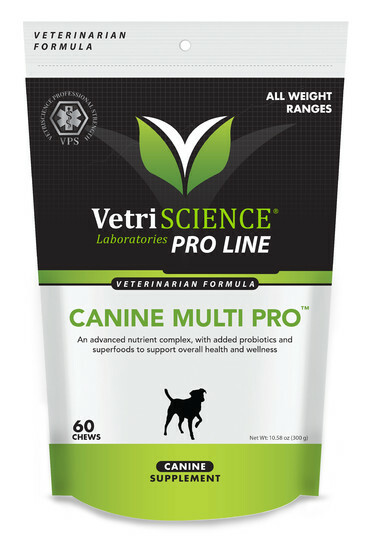 Canine Multi Pro contains 30 nutrients not always found in commercial dog foods or ordinary multivitamins..
biotin, sodium selenite, pyridoxine hydrochloride, calcium iodate, folic acid.